There is nothing about Disney’s 56th animated feature that is anything less than beautiful. From the tops of mountains to the depths of the ocean; from the inspirational, aspirational heroine to the ; from the comedy (both broad and oblique) to the truly exciting action set-pieces; from the effortlessly toe-tapping songs to the colourful, unforgettable characters; from the story to the message; from start to finish (and I mean the very end when the screen goes blank) Moana pulls at your eyes, heart and mind then snaps them back into your body leaving you breathless and basking in its sheer audacious over-use of the word. The descendent of Polynesian sea-faring nomads Moana of Motonui (Auli’i Cravalho) feels the waves of wanderlust washing over her as she enters her mid-teenage years, she yearns for travel and adventure, to break away from the responsibility and staunchly land-based community provided and nurtured by her father, Chief Tui (Temuera Morrison). When ecological disaster threatens her tribe’s paradise and based upon the advice of Gramma Tala (Rachel House), Moana takes the initiative to return a magical stone to its original resting place on the distant shores of Te Fiti. So, she takes a canoe, her pet pig Pua and, along with stowaway rooster Heihei (clucks by Alan Tudyk), sets sail to save her people. 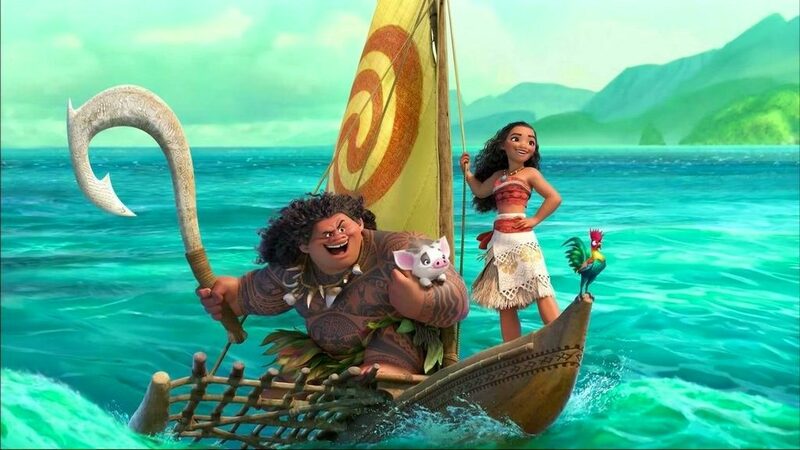 But to achieve her task Moana must enlist the aid of prankster demi-god Maui (Dwayne “The Rock” Johnson), who stole the stone in the first place and this entails rescuing his magical fish-hook from the Realm of Monsters and the clutches of villainous, “Glam-Rock” crab Tamatoa (Jermaine Clement). Add in one of the most exciting chases since Mad Max: Fury Road involving some extremely diminutive pirates and the climactic battle with Te Ka, the monstrous lava creature guardian of Te Fiti and you have in place everything you’d expect from a Disney “Princess” movie. 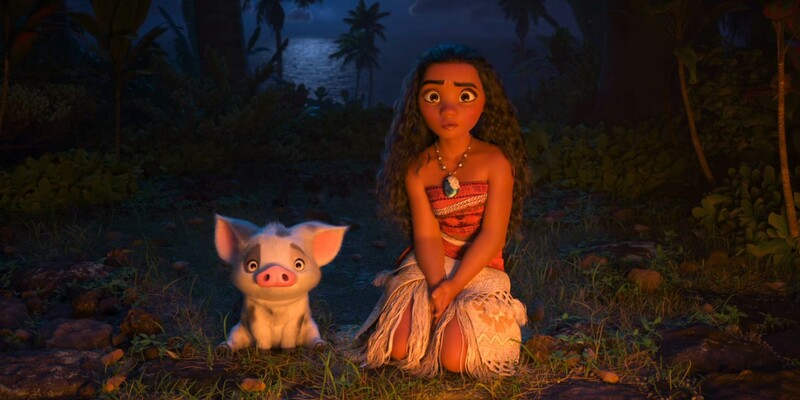 There’s no handsome prince to woo Moana’s princess (although she determinably expresses that, despite being the daughter of a chief, she is no such thing). Moana is about friendship, mutual trust, platonic and familial love but not romance. And you know what? It is absolutely the right decision, Moana is about finding out who you are rather than how you are defined by your romantic relationship. It’s a subtle but powerful message that is as empowering as it is refreshing and it’s genuinely appropriate. Directors Jon Musker and Ron Clements are no strangers to creating perfect Disney fare, their CV boasting The Little Mermaid, Aladdin and the criminally under-appreciated The Princess and the Frog. The DNA of those movies is more than evident in the character of Moana, someone who yearns for a life beyond their immediate environment, whose courage and ingenuity is tested, who lives beyond the screen. Using full computer animation for the first time (their previous films used traditional hand-drawn techniques with limited CGI) has not limited but expanded their palette, there is an incandescence to the colours, bright, popping and luminous; there are levels of detail here that deserve the biggest screen and highest resolution; there is warmth and emotional involvement from even the most surprising characters. 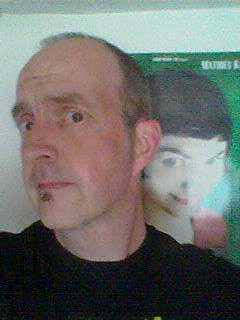 The voices are all perfectly cast and all deliver excellent performances, especially from Auli’i Carvalho as Moana who, only 14 when she recorded her part, makes for a believable and loveable protagonist, perky, plausible, intelligent and brave, she’s the person we all hope our daughters could be. Dwayne Johnson proves to be just as likeable and amiable as his on-screen persona and provides many of the movie’s best laughs (most of the others come via Alan Tudyk’s crazy rooster and Jermaine Clement’s jewellery obsessed crab, Tamatoa, both of whom are, again, perfectly cast). Maui is as vainglorious as Moana is earnest and they complement each other gloriously, like opposing sides of the same shiny coin you’ll want to keep in your pocket forever. The bad news for parents who’ve only just reclaimed their music systems from their little darlings and the Frozen soundtrack is that the music and songs of Moana are just as catchy, infectious and sing-along-able to the point of distraction. The song-writing trio of Disney regular Mark Mancina, Samoan singer Opetaia Foa’i and Hamilton impresario Lin-Manuel Miranda have crafted songs that will have you humming on the way home and power millions of school-runs. All the cast sing their own songs which means, yes, The Rock sings and he’s not half bad, in fact he’s pretty good (so, that’s about the last thing you need to cross off your “Worry List”). I don’t know whether Moana will have the same impact as Frozen, that’s down to a generation much younger than my own, although I very much hope it does. There’s so much misogyny and racism in the world right now a little immersion in a vibrant foreign culture and a bold heroine is a welcome respite, an exciting, funny, colourful and stimulating ray full of hope.